Congratulations!!! 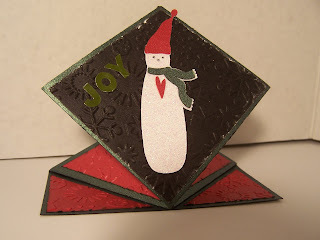 Email me with your address and I'll pass it on to Noreen for her to send out your prize. Thanks to all the ladies who participated in February!!! 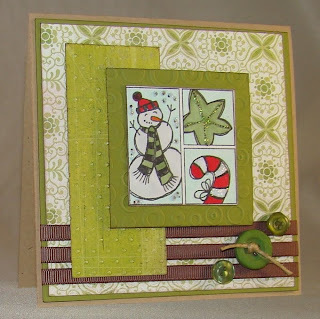 Get to work on March now for a chance to win some beautiful stamps that Lesley is offering!! 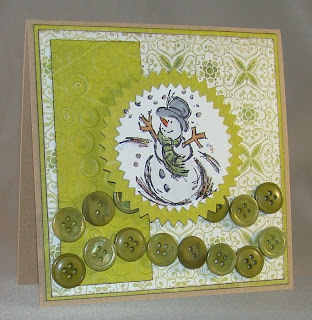 Wow, I just don't know where February went but I hope you were able to check out all the beautiful creations everyone created!!! 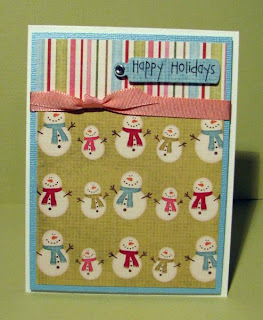 I can't wait to see who is going to win February's prize from Sharing Memories Scrapbooking...stay tuned. 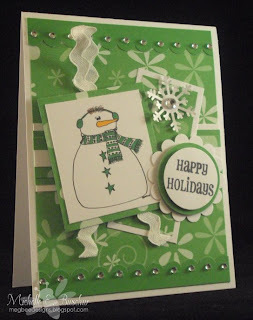 The challenge for the month of March is to use mostly green on your card and one of my favorties...snowmen! Leave a comment if you do our challenge! 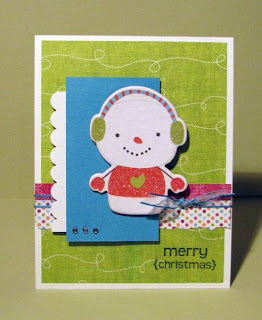 Please only enter NEW CARDS that are made in MARCH. 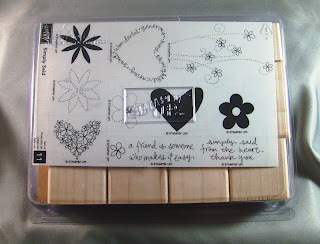 A stamp set from SU, plus I'll throw in a few other goodies for you!